Muffins have always been a favorite in my house, they’re a comfort food to me. 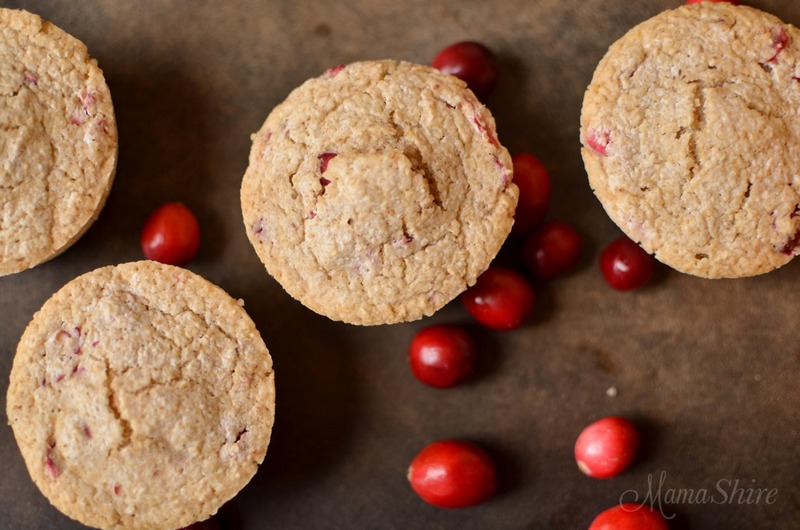 The little tart cranberries in these muffins bake up into a delicious moist berry and combined with the orange flavor make a delightful and festive combination. When we were homeschooling our daughters, we would usually have a mid-morning snack of muffins. So I have really sweet memories of enjoying muffins with the girls and learning or maybe enjoying a read aloud together. These muffins freeze well too. It would be easy to bake up a batch of these ahead of time and have them in the freezer ready to go. Take them out of the freezer a couple hours before you want them and let them thaw on the counter. 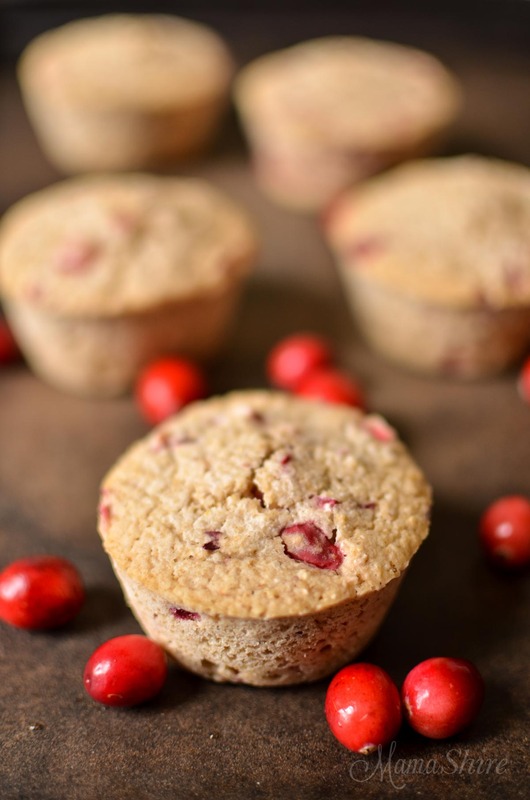 Trim Healthy Mamas these muffins are an E.
Preheat oven to 375°. Grease a 12-cup muffin pan with coconut oil spray. Put oats in a blender or food processor and blend until ground into flour. 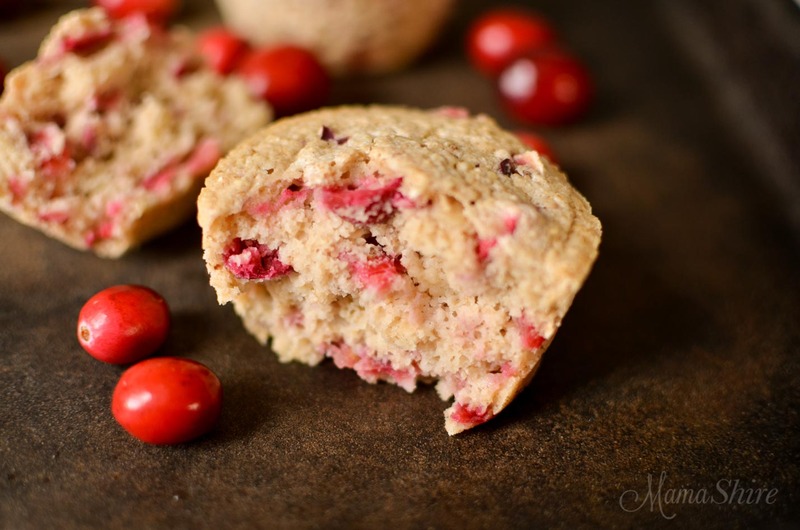 In a large bowl mix all ingredients, except cranberries. Fill muffin tins 3/4 full and bake for 15-20 minutes or until a toothpick comes out clean. Cool muffins for 5 minutes and then remove to wire rack. These are best after they have cooled. Wonderful recipe! Thank you for sharing. 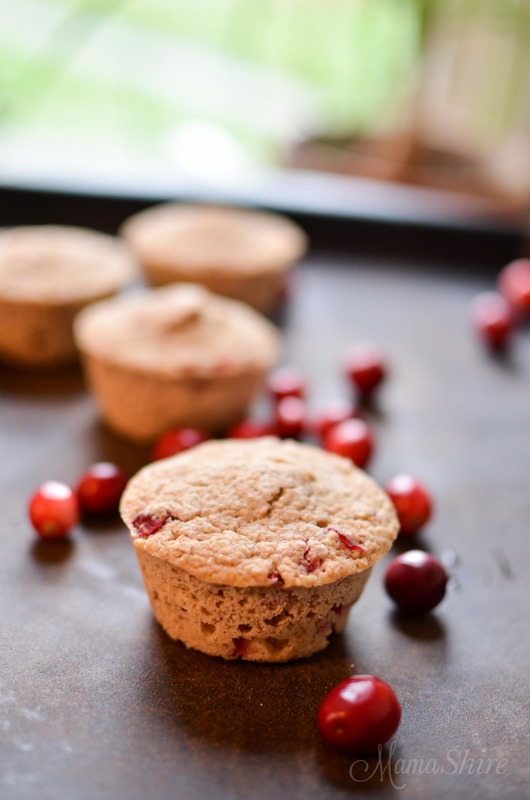 I’m trying to incorporate more E meals into my diet and these muffins are perfect! Moist and super yummy. Not to mention so easy to throw together. Thank you! Thanks, Deanna! Yes, I’m going to be working on more E meals, too. These are in the oven for breakfast and smell delicious! Planning on having them with yogurt. Had fun making them with my three youngest. They loved cutting the cranberries. Thank you for sharing a good E recipe! Thank you, Rachel! Oh, that is so fun that you are having your littles help you in the kitchen. Hope you have a wonderful breakfast. 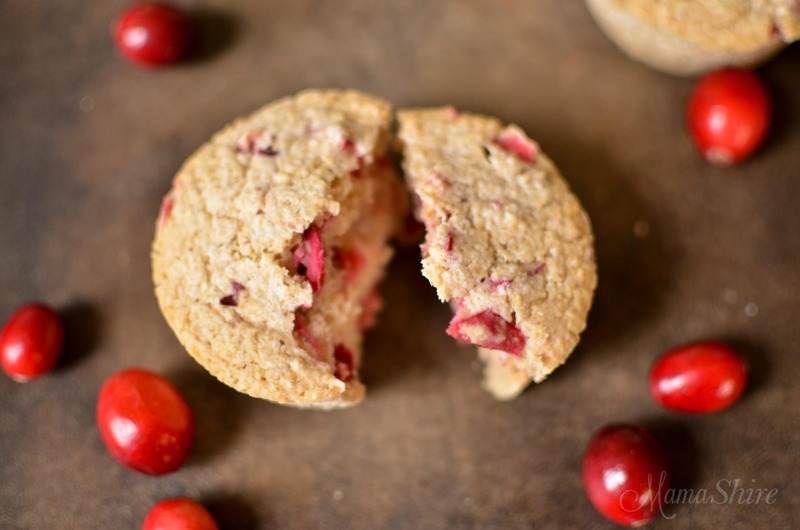 If using oat flour, do still use 2 cups? Hi Christy! Yes, if you have the flour it should be the same amount.